All proceeds will be going to the CMHA Youth Mobile Walk-in Clinic. Bring your family & friends – there will be a DJ, a silent auction and an opportunity FOR YOU to HELP end the stigma around mental health! Huge thanks to The Chemical Guys for being our Premium Sponsor for KWRC RED Day 2019! This amazing company has given us a location, supplies, products and knowledge to help make this our most successful RED Day to date! KWRC will be among more than 188,000 Keller Williams’ associates worldwide participating in the real estate franchise’s 10th annual RED Day on May 9th, 2019. 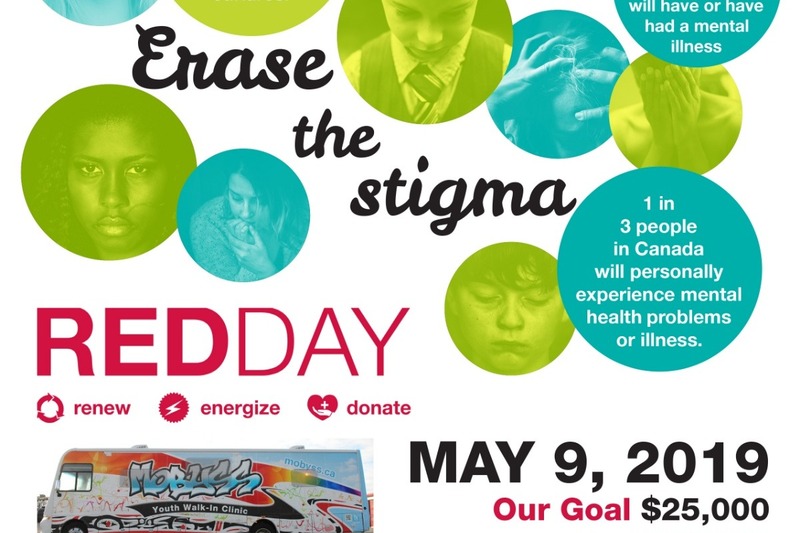 RED Day, which stands for Renew, Energize and Donate, is a collective service initiative where Keller Williams’ associates donate a day to give back to the local community. We are up to $1,274 in donations for The Canadian Mental Health Association! Great Start! Thank you, everyone, who has donated thus far.